Last month, while addressing a group of Colorado sheriffs, Colorado Governor John Hickenlooper spoke on the topic of the state's 2013 measure outlawing almost all private transfers of firearms. According to the Denver Post, Hickenlooper told the sheriffs, "I think we screwed that up completely... we were forming legislation without basic facts." A new Associated Press report examining Colorado background check data in the first year of the new law proves the accuracy of Hickenlooper's statement, and should (although likely won't) end the repetition of an already discredited anti-gun background check factoid. 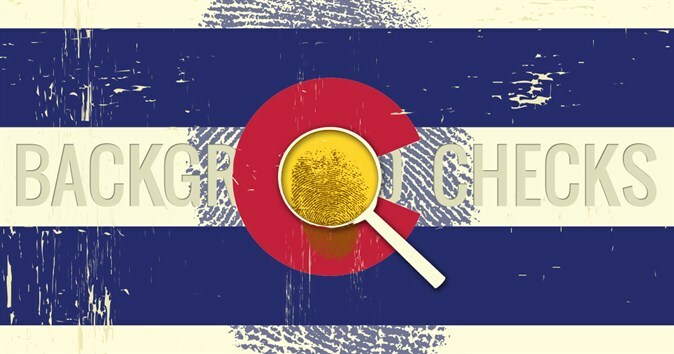 The report states that the Colorado Legislative Council, an offshoot of the state legislature that is tasked with analyzing legislation, estimated that 420,000 additional background checks would be conducted in the two years following the new private sale restrictions. This led the Colorado legislature to allocate $3 million to the Colorado Bureau of Investigation to handle the anticipated increase. However, the AP notes, "officials have performed only about 13,600 reviews considered a result of the new law -- about 7 percent of the estimated first year total." The article goes on to state, "In total, there were about 311,000 background checks done during the first year of the expansion in Colorado, meaning the 13,600 checks between private sellers made up about 4 percent of the state total." How did the Colorado Legislative Council get their estimate so wildly wrong? They relied on same bogus statistic (that 40 percent of gun transfers occur between private parties) which gun control advocates and the White House have been using to advocate for expanded background checks all over the country. The 40 percent statistic is from a Police Foundation survey, the results of which were published in a 1997 National Institute of Justice report titled, Guns in America: National Survey on Private Ownership and Use of Firearms. The figure has been debunked repeatedly by the NRA and others, and even earned the President "Three Pinocchios" from the Washington Post's fact-checker for his repeated use of the misleading stat. Unfortunately, these public admonishments haven't deterred gun control supporters from using this absurdly inflated figure. In November, Sen. Dianne Feinstein repeated the factoid in an opinion piece for the San Jose Mercury News. As recently as early July, the Brady campaign asserted in a press release, "Approximately 40 percent of all guns sales go unchecked." A May press release from Michael Bloomberg's Everytown for Gun Safety reiterated estimates "that 40 percent of gun sales occur without a background check in the U.S." Even President Obama's official website, whitehouse.gov, has a page for his "Now is the Time" gun control campaign that continues to claim, "Right now, federally licensed firearms dealers are required to run background checks on those buying guns, but studies estimate that nearly 40 percent of all gun sales are made by private sellers who are exempt from this requirement." The data from Colorado's first year of restricted private transfers makes continued use the 40 percent figure untenable. Still, some gun control advocates might seek to blame Colorado's low increase in background checks on scofflaws, and those unaware of changes in the law, circumventing the new restrictions. Even if these factors did have a role to play in the underwhelming check numbers, they could hardly be expected to raise the percentage of undocumented private transfers by a factor of 10. Even if they could, it would merely weaken the case of the efficacy of private transfer restrictions. Evidence of background check avoidance would simply underscore NRA's position that background check laws cannot affect the behavior of those who intentionally or unknowingly violate them. Colorado's expensive foray into background check expansion should serve as a warning to state and federal legislators as to the limited effect these laws can have, and the importance of collecting the "basic facts" before crafting legislation that inhibits the rights of their constituents. Yet the tactics of gun control supporters are nothing if not shameless, so don't expect them to relinquish the 40 percent myth any time soon. President Obama has openly embraced the confiscatory gun bans of Australia and Great Britain, and he and other gun control radicals realize they can't achieve that goal without registration. "Universal" background checks are the next step in that direction, so for their proponents, the ends justify their dishonest means. For everyone else, however, Colorado's example is a resounding reminder that the war the proponents of "universal" background checks are waging is one of ideology, not one of facts, and it is certainly not in the service of "gun safety." Colorado Colorado Background checks "universal" background checks private transfers John Hickenlooper Colorado Bureau of Investigation "40 percent"